Trousers have never been high on my make list. 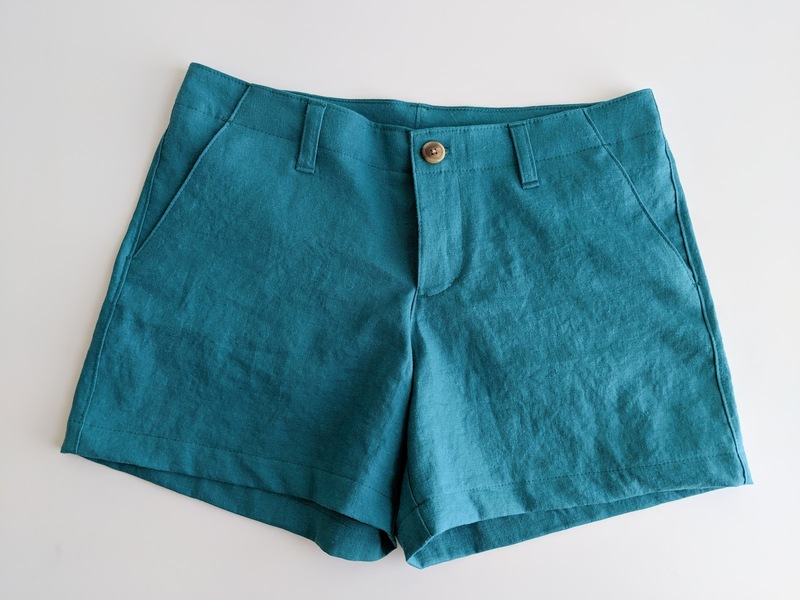 Before this make, I was so intimidated by fly closures and back pockets that I always picked bottoms patterns that omitted them. 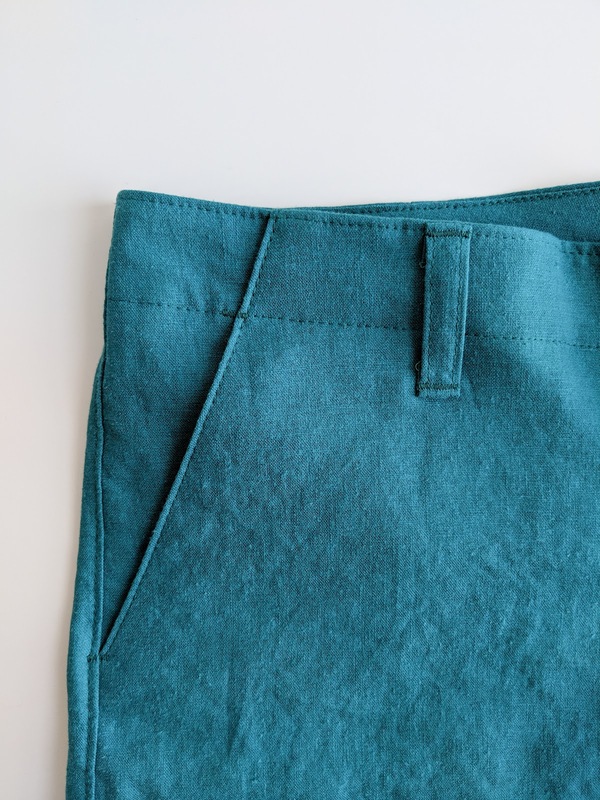 Enter April's Sew My Style trouser challenge and the fact that I volunteered to co-host. I figured now was as good a time as ever to make my first pair of trousers and so I threw myself into the Chi-Town Chinos pattern from Alina Design and Co. The Chi-Town Chinos pattern was a dream to work through. It's always nice to have a comprehensive pattern for your first try at something and Alina delivers everything you could ever want with easy to follow instructions and a fitting guide. The sewalong on her blog was immensely helpful too. I used a linen/rayon blend that I originally purchased from Joann for the main fabric and Just Sayin' in white floral from Riley Blake for contrasting pockets. 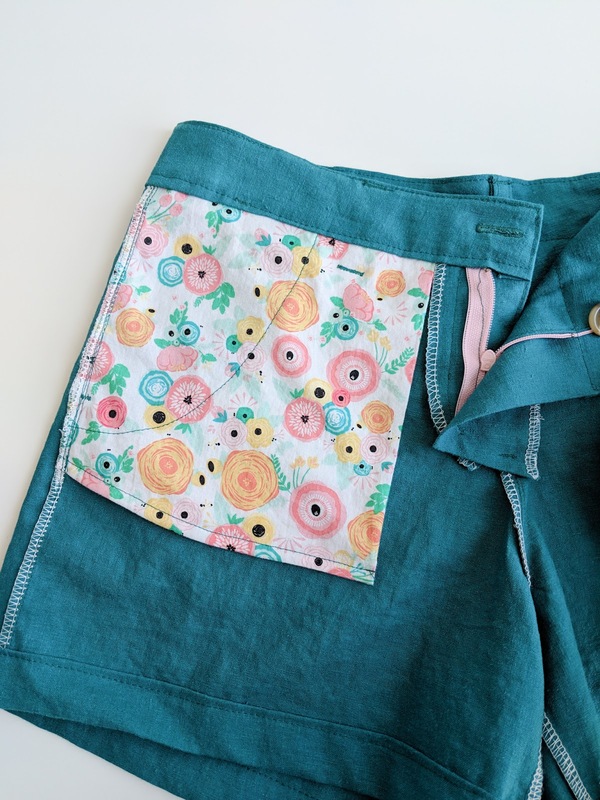 The button and light pink zipper were also fun additions. I made a size 2 and didn't need the center back extension. The fit is a bit loose so I would size down next time around. 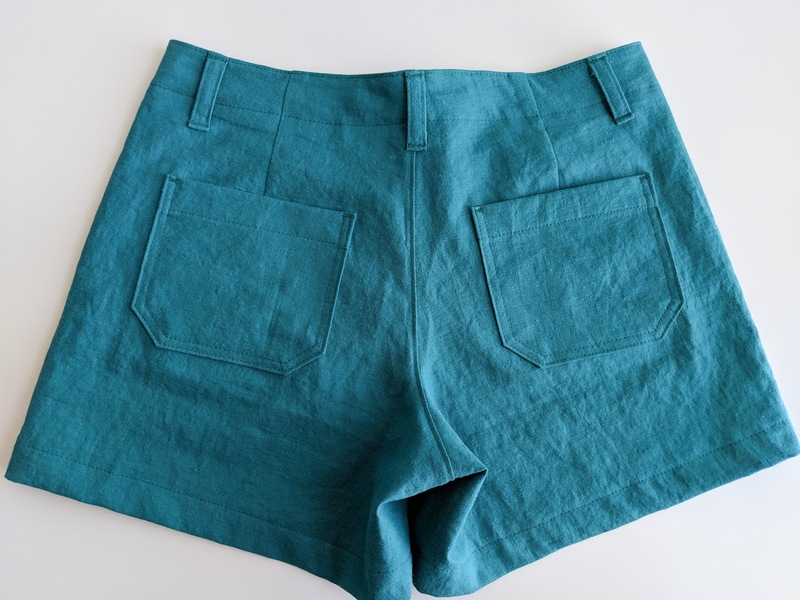 I originally wanted to do the curved pockets, but found the angled pockets to be much easier to deal with. I almost didn't do the belt loops, but ended up loving that extra detail. I think it helps them look so much more professional. The length was great and I didn't need to modify at all. An edge stitch foot is your best friend. If you don't have one yet, I'd highly recommend getting one. It will help make all the topstitching in this pattern look professional and you'll use it again and again in the future. 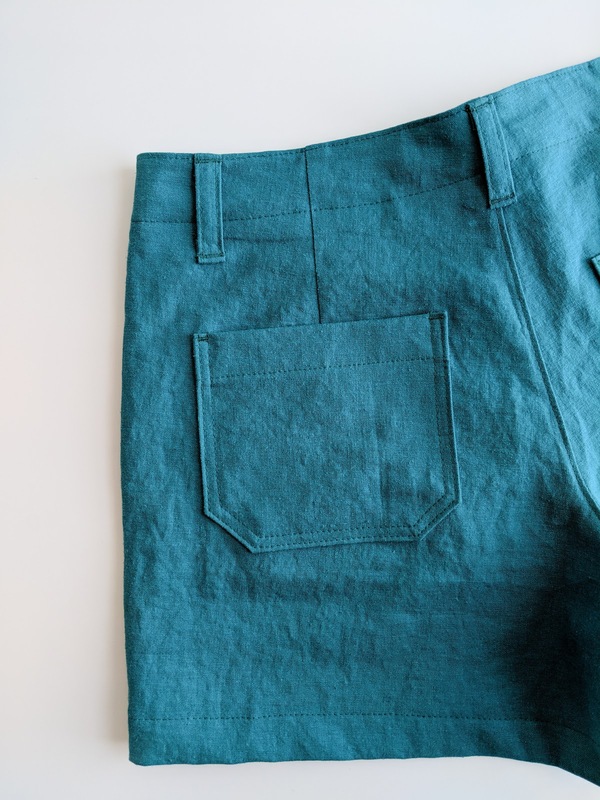 Go for the angled pockets. Straight lines are so much easier to deal with when ironing and sewing. And as always: If there's a sewalong, USE it! I found a lot of useful tips and answers to my questions through the detailed instructions and photos. If the pattern maker doesn't have one, I'm sure you can search for one. Overall, I'm very happy with my first pair of trousers. It was a bit scary and tedious to go through the fitting process, but it's worth all those times you're taking them on and off. 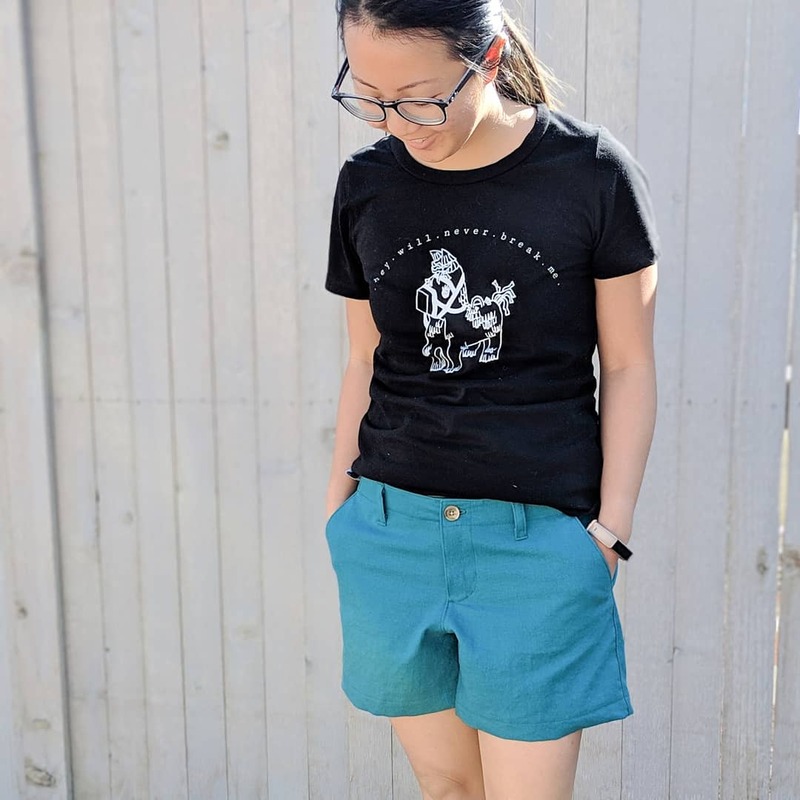 There are still a few things I'd change for my next pair, but I love the extra pop of color these shorts add to my wardrobe. I can't wait to wear these more once summer hits! Are you participating in this month's trouser challenge? Which pattern are you making? Reveal day is always the last Sunday of the month and I can't wait to see everyone's finished makes! Be sure to follow along in our Facebook group or follow the hashtag #sewmystyle2019 on Instagram to see everyone's progress. 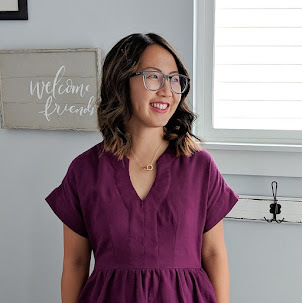 If you're new to Sew My Style, learn all about it here.